Your ELD doesn’t stop with compliance. While you may be mandated to use Electronic Logging Devices, the data from your ELDs can achieve much more than hours of service compliance. It’s also about maximizing your operational efficiency and improving safety. And, with a comprehensive ELD system in place, you and the industry are full throttle for years ahead. Although ELDs were first developed to monitor Hours of Service, the FMCSA also mandates that they auto-record location information, engine hours, vehicle miles as well as identification information for drivers, authenticated users, vehicles, and motor carriers. Many ELDs go further to log HOS violations, duty status, GPS locations, configurations, fuel, speed, hard braking/cornering, idling times, exempt miles, and vehicle inspections. As if those weren’t enough, geofencing reporting constantly records the number of visits, turnaround time on-site, total time on-site and more. Robust systems such as EROAD’s facilitate proactive fleet and risk management tools to optimize efficiency. These all-encompassing ELD devices and software now provide a digital window into how you may significantly extend your equipment lifecycles, too. Naturally, everyone’s safety should be the top concern. But, proactively managing your fleet can do far more than lower your CSA scores. ELD data will reveal hazardous speeds, hard braking and cornering. Even excessive idling times are reported in some systems. Understanding this type of trend could end up saving you quite a bit of money in the long run. On the administrative side, ELD data is easily trackable and helps you compile payroll figures and other valuable reports. For fleets operating in a state with a weight mileage tax, ELDs should also provide any exempt mileage. Beyond how vehicle configuration data simplifies reporting, ELDs assist with vehicle inspections. And, of course, a real plus is how they monitor fuel usage, so you can watch your bottom line for the short or long haul. Even when ELD usage is optional, the GPS location feature is invaluable from the top down. Always knowing where your trucks are is essential, and newer, sophisticated ELD systems are most beneficial with accident investigations, cutting detention time with shippers and receivers, and assessing customer satisfaction. At the touch of a button, GPS can often locate stolen equipment, too. A nice bonus, right? ELDs capture massive amounts of data that can help you investigate an accident and understand specific aspects that will be used to determine fault. If you or one of your drivers has been in an accident or has an accusatory claim against them, your ELD data can help thoroughly investigate the accident and allow you to do your own due diligence. ELDs are required to capture location data every 60 minutes. If you’ve chosen a technology solution that is more accurate than that (i.e., more frequent location readings), you will be able to recreate exactly what happened. EROAD’s solution allows customers to see second-by-second location of their trucks and can get a highly accurate view of an accident situation, including the exact lane the vehicle was driving in when the incident took place. This level of detail in your data can have a huge effect on the aftermath of an accident including variability of insurance premiums. ELD reports help you monitor the efficiency in four areas: your fleet, drivers, tax info, and fuel. With remarkable accuracy, you can spot any inconsistencies and determine where there’s room for improvement. Best of all, you can realistically anticipate challenges, pull out the stops, and turn your losses into more profit. The best ELD systems also coincide with the constant need for driver training, and the ongoing coaching and development of your whole organization. Though not all employees welcome ECD technology many say they appreciate learning what they aren’t aware of. For instance, many drivers like how they can be safer while cutting costs, shortening their time on the road and enduring less stress. Something their loved ones appreciate, too. ELD technology is here to stay. The information is there - you are data rich, whether you knew it or not. Just be sure you have the right team member reviewing the data and using it appropriately. 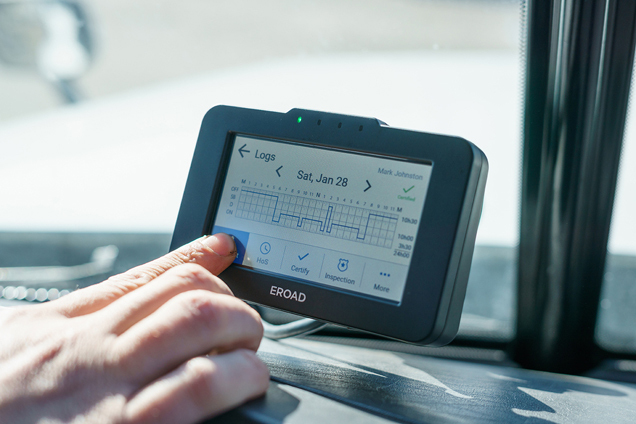 Founded in 2000, EROAD provides a complete suite of user-friendly fleet management, compliance and driver safety solutions, including an FMCSA registered and third-party verified ELD, compliant DVIR, electronic tax reporting, vehicle maintenance and fuel and fleet utilization reporting. It’s simple, affordable and smart. For more information, please visit www.EROAD.com. The above article is sponsor-generated content. To learn more about sponsor-generated content, click here.